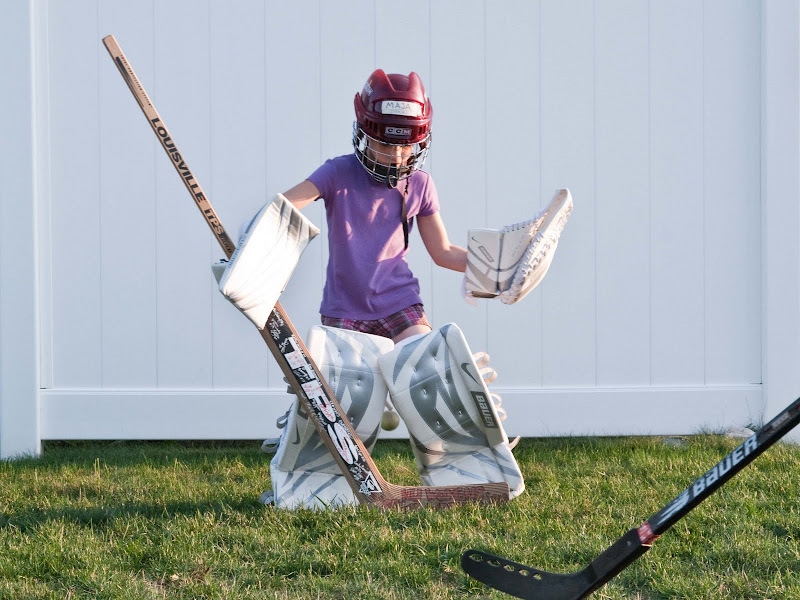 She's been working on her moves this week, and she's improving... but she's got to watch the five-hole. Does she need to grow into those pads? What do you feed these athletes? THAT is an outrageous shot. How do you do it? !